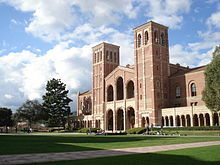 The University of California, Los Angeles (UCLA) is a public research university in the Westwood district of Los Angeles, California, United States. 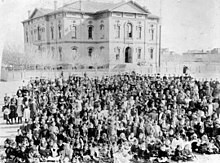 It became the Southern Branch of the University of California in 1919, making it the second-oldest undergraduate campus of the ten-campus system after the original University of California campus in Berkeley (1873). It offers 337 undergraduate and graduate degree programs in a wide range of disciplines. UCLA has an approximate enrollment of 30,000 undergraduate and 12,000 graduate students, and has 119,000 applicants for Fall 2016, including transfer applicants, the most applicants for any American university. The Times Higher Education World University Rankings for 2015-2016 ranks UCLA 16th in the world for academics and 13th in the world for reputation. In 2015/16, UCLA is ranked 12th in the world (10th in North America) by the Academic Ranking of World Universities (ARWU) and 27th in the 2015/16 QS World University Rankings. In 2015, the Center for World University Rankings (CWUR) ranked the university 15th in the world based on quality of education, alumni employment, quality of faculty, publications, influence, citations, broad impact, and patents. 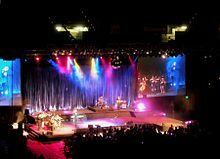 The university is organized into five undergraduate colleges, seven professional schools, and four professional health science schools. 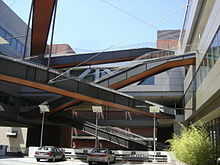 The undergraduate colleges are the College of Letters and Science; Henry Samueli School of Engineering and Applied Science (HSSEAS); School of the Arts and Architecture; School of Theater, Film and Television; and School of Nursing. Thirteen Nobel laureates, three Fields Medalists, and three Turing Award winners have been faculty, researchers, or alumni. Among the current faculty members, 55 have been elected to the National Academy of Sciences, 28 to the National Academy of Engineering, 39 to the Institute of Medicine, and 124 to the American Academy of Arts and Sciences. 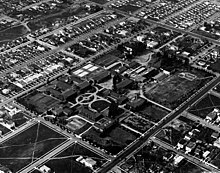 The university was elected to the Association of American Universities in 1974. UCLA student-athletes compete as the Bruins in the Pac-12 Conference. 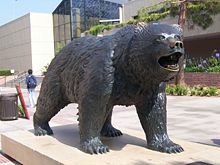 The Bruins have won 126 national championships, including 113 NCAA team championships, more than any other university. UCLA student-athletes, coaches and staff have won 251 Olympic medals: 126 gold, 65 silver and 60 bronze. The Bruins have competed in every Olympics since 1920 with one exception (1924), and have won a gold medal in every Olympics that the United States has participated in since 1932. 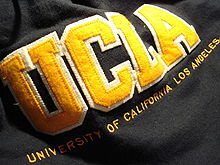 What are the academic rankings for University of California-Los Angeles? 1. number 29 for Academics. 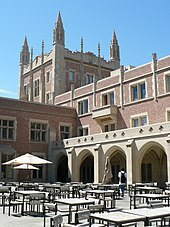 What universities are similar to University of California-Los Angeles?